Once you land on the majestic island, it is highly recommended to hire a car. This will make your transportation simple, and give you the opportunity to travel over as much of the island as you wish. Having spent some quantity of time travelling, we think it is best to spend the first day (whatever is left of it) enjoying the simpler things. 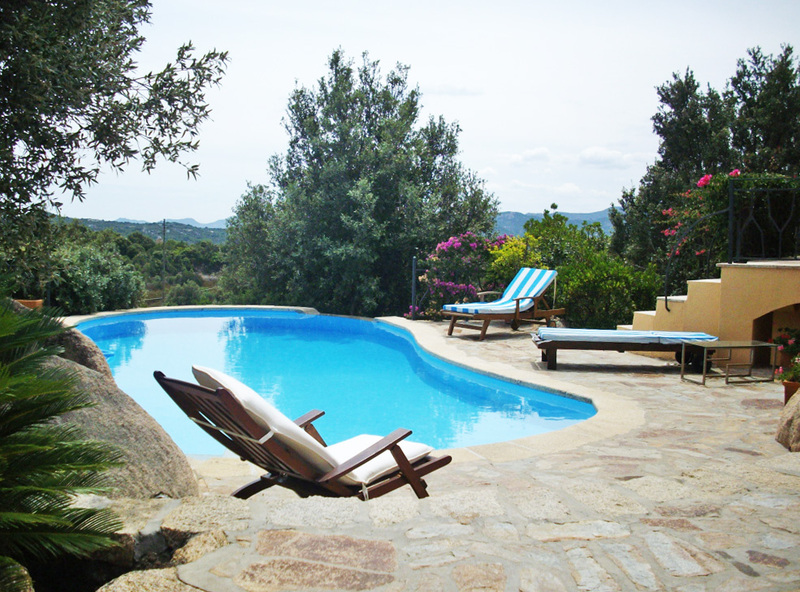 Settle into your Sardinia villas, take a dip in the pool and explore the local villages to seek out the best restaurants and enjoy some of the rich and delicious foods on offer locally. Taking the first day at a slow pace will mean that you feel relaxed almost instantly, and you’ll be refreshed from your travels to take on your holiday adventures! As the first full day of your holiday, it is best to get out and explore! 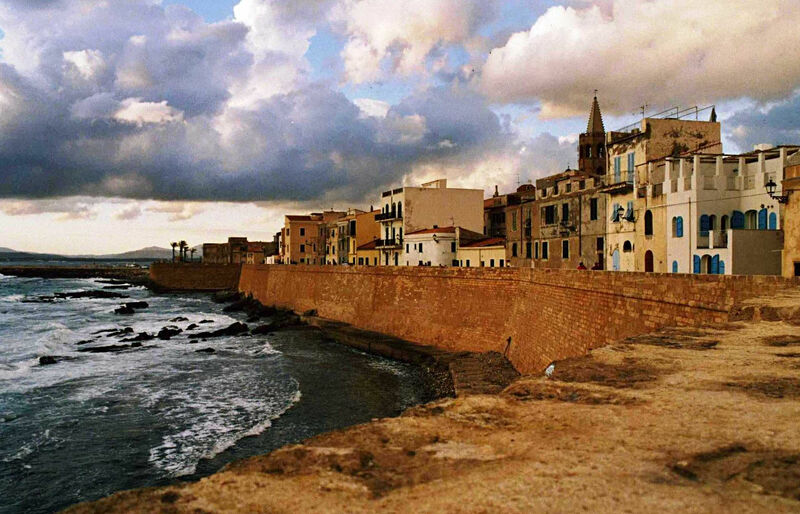 Alghero is an absolute must-visit in Sardinia, stroll past the medieval churches, the bustling marina and the city walls to enjoy a true experience of this historic haven. The mazes of lanes will keep you entertained for hours, with places in between to stop at, full of quaint coffee shops, fine restaurants and pretty shops; you will really get a feel for the local area. Just a few minutes drive away you will find sleepy beaches and quiet bars to relax in, and plenty of places to watch your first Sardinian sunset and wind down your first full day! 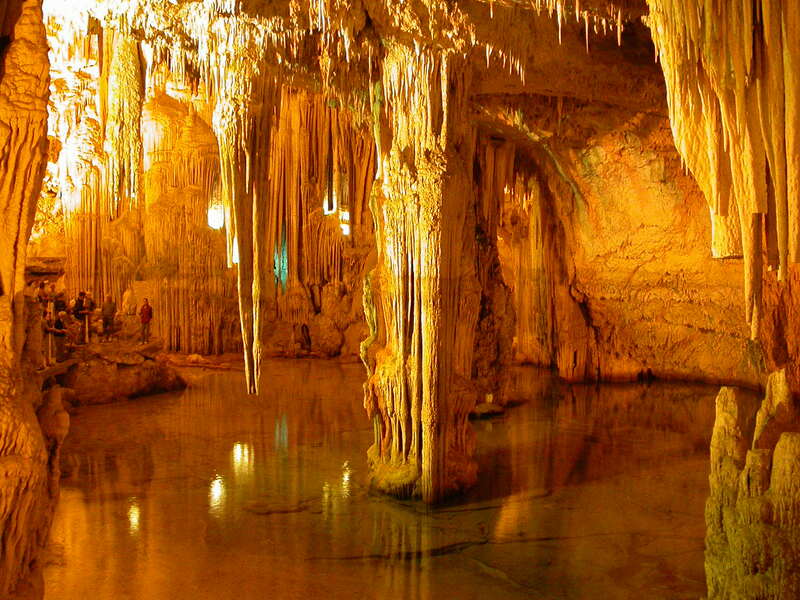 Capo Caccia and Grotta di Nettuno (Neptune’s Grotto) is an area not to be missed on this incredible island. You can travel here along the roads and down a quaint footpath, or if you’re feeling adventurous, ports around the island such as Alghero will take you there by boat! The island’s famous caves will leave you stunned with awe as you explore through the crystal waters to find the hidden depths of the caves. Don’t take our word for it though; this is a sight that you certainly need to see first hand to really reap the benefits! At Capo Caccia there is also a lighthouse, which offers a perfect photography opportunity and the nearby beaches and restaurants ensure that any travel time is certainly worthwhile for this eye-opening day-trip. Porto Rafael is a hidden gem a little off the beaten track, and this simply adds to its charm. Overlooking the National Park of Arcipelago di La Maddalena, this area offers you a relaxing atmosphere with serene, small beaches, sailing excursions and bars. Water sports are also on offer for any adrenaline junkies, but the main feature of Porto Rafael has to be the laid-back nature, where you can sit back and enjoy your time! There is a local restaurant nearby serving traditional Sardinian foods called Agriturismo, which you should certainly visit in the evening! Although it is the charming coastline that draws most of the visitors, an aspect of Sardinia which is often overlooked is the shapely countryside found inland. The wind and rain have been moulding the granite rocks for hundreds of years, leaving today’s scenery filled with prominent peaks and gorges that are just waiting to be explored. A day spent in-land gives you a taste of the historic past of the island, where you will find Nuragic ruins that date as far back as 1500BC and some of the oldest buildings in Italy! There are plenty of beaches for you to enjoy in Sardinia, with Costa Smeralda being one of the most well known; stretching over 20km from the town of Olbia to the northern point there will always be room for you to enjoy the sound of the crashing waves. 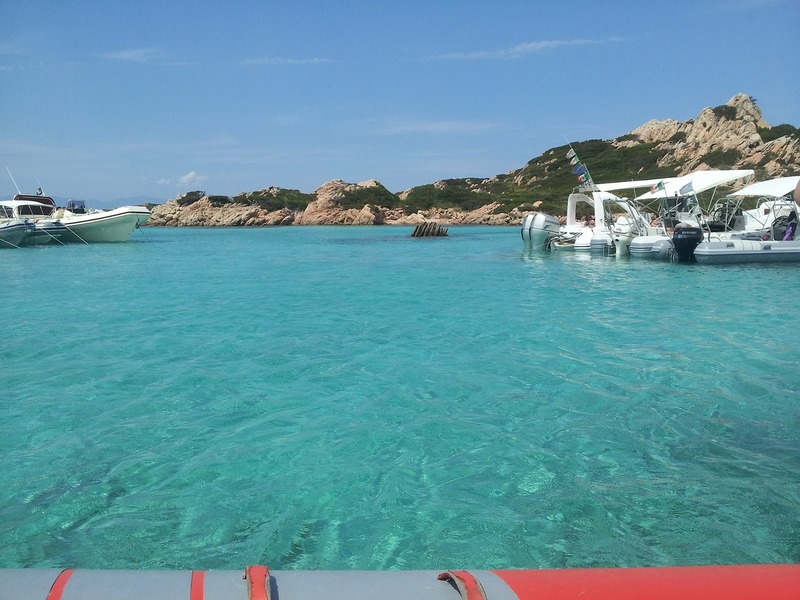 If you would rather veer away from the more touristy areas, head to the national park of La Maddalena where the beaches have often proven to be the closest thing to paradise that you will find. Either spend the day relaxing on the sandy shores and enjoying the local produce, or take a boat trip around the island to fully experience the beauty of Sardinia. 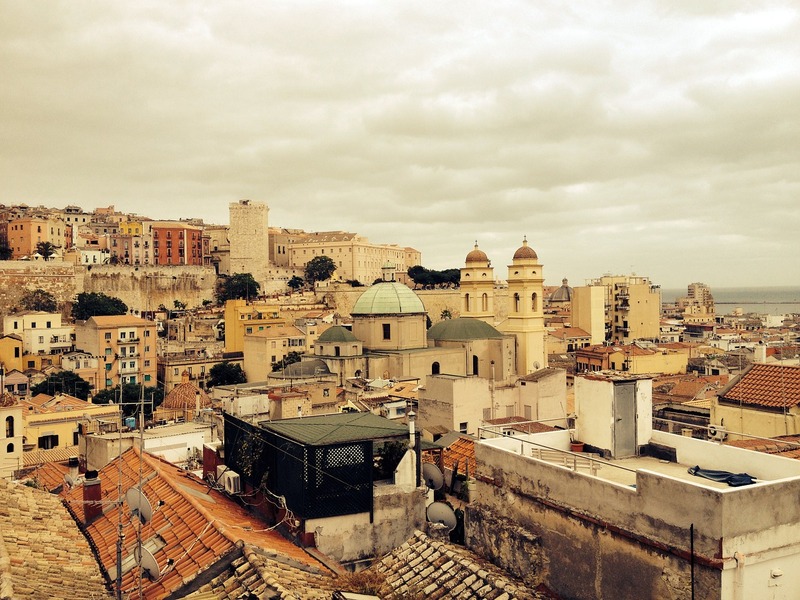 Cagliari is the capital city of the island and located in the south and is a buzzing hub of activities and adventures. Whether you’d like to spend your day relaxing on the beach, exploring the local museums or enjoying the young nightlife, there is something to please everyone. Some of the main attractions that you should explore include Cattedrale di Santa Maria, a 13th-century cathedral whose Gothic exterior is filled with baroque décor, offering a sense of vibrancy in the impeccable details. Another must-visit in the area is Durke; translating to ‘sweet’ in English. This old-fashion sweet store gives you a real authentic experience where you will be able to indulge in historic sweets and treats made to traditional recipes. You won’t find anything quite like this anywhere else in the world; take your pick from fruit and nut filled papassinos, amaretti di Sardegna and light ricotta and saffron cheesecakes. A day of indulgence is certainly deserved and these taste sensations will leave you feeling joyful – you can even have a few boxed up to take home if you’d like your holiday to last just a little longer! The last day of your holiday has unfortunately arrived, but there is still time to make the most of the luscious weather and all that Sardinia has on offer. Take this day to continue exploring the local area before setting off back home. Why not head to the local market to pick up some fresh produce which you can make into your own homemade meal back at the villa? Test out a recipe that you’ve tried in a restaurant over the week, and then you’ll be able to enjoy the Italian experience once you return home! Top up the last of your tan and ensure that you factor in some well-earned R&R on your Italian holiday. If you need any extra information for your holidays to Sardinia, get in touch with our team of Italian experts and they will be more than happy to offer any extra advice. 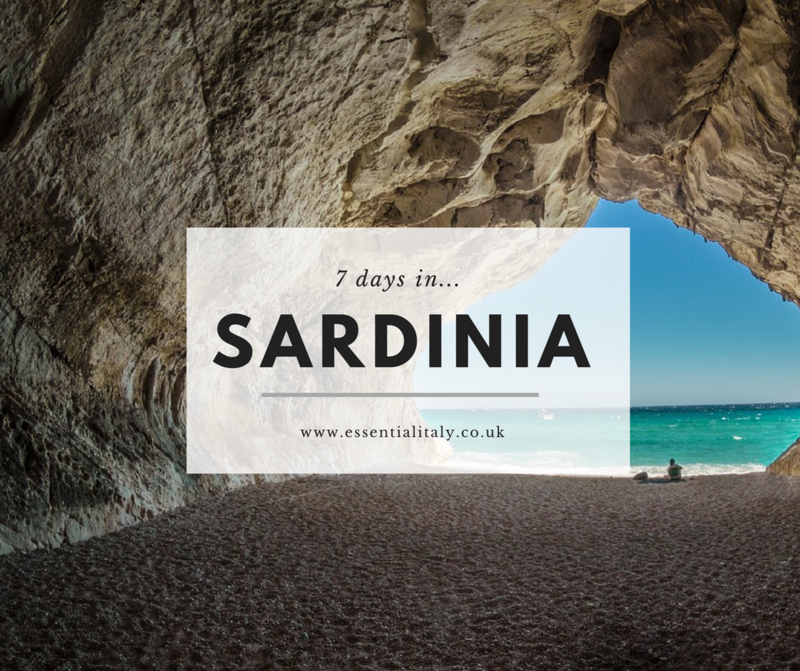 Are there any attractions that you’ve visited in Sardinia that you feel are ‘must-visit’ locations for your 7 days in Sardinia? Let us know! 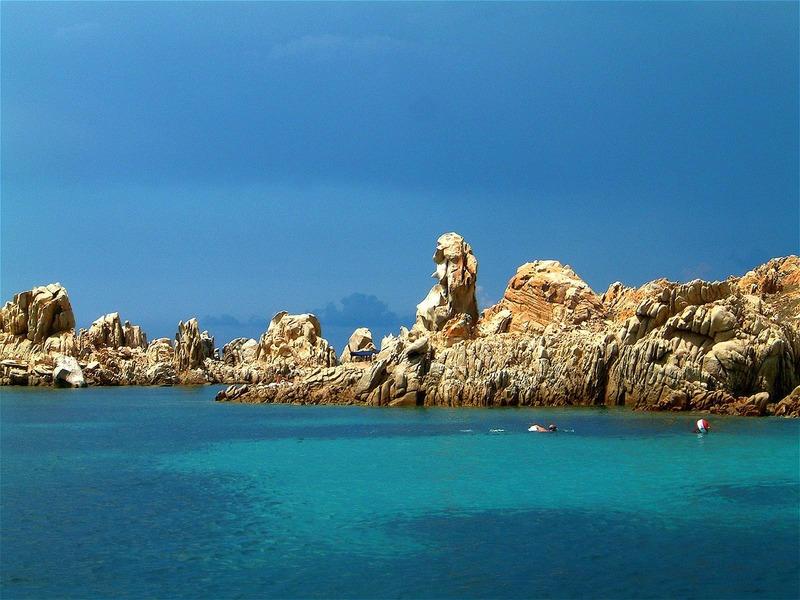 Want to know more about Sardinia? 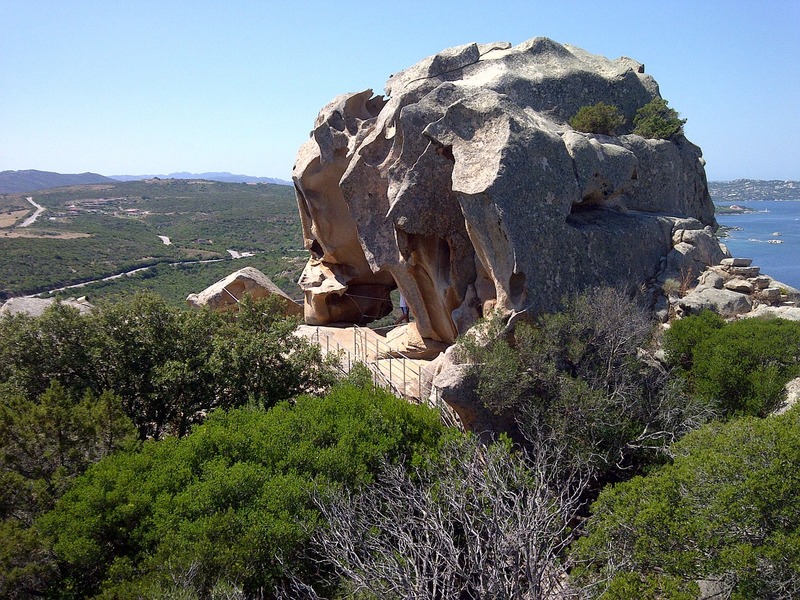 Take a look at our blog “10 facts about Sardinia” and you might discover something interesting!